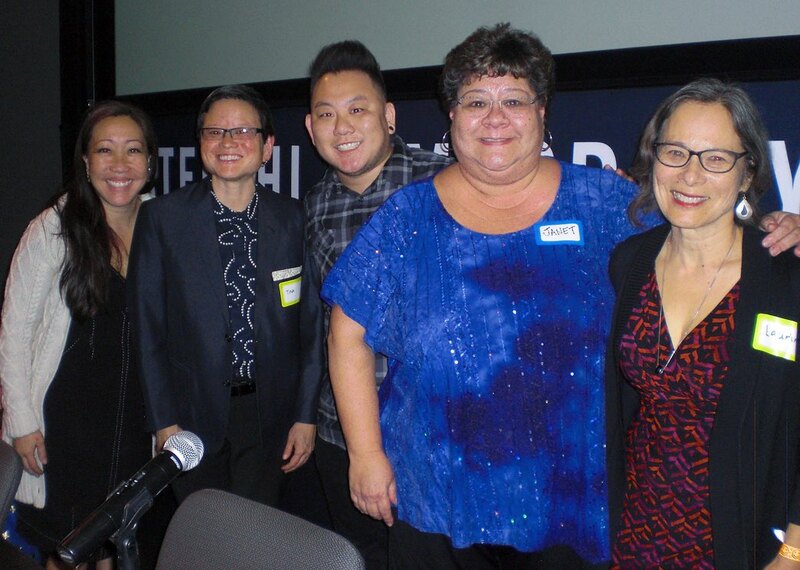 Okaeri 2018, a conference for the Nikkei LGBTQ community, family, friends and allies, was held Nov. 16 and 17 at the Japanese American National Museum in Little Tokyo. • “Stories from Our Nikkei Faith Community” (work in progress), produced by Divercity Productions. Five Nikkei clergy reflect on why they support LGBTQ community members and their hopes for the future. For those who have been rejected by the church, this short video brings a feeling of acceptance and inclusion from both Christian and Buddhist leaders. • “Acting As If: The Sab Shimono Story” (work in progress), directed and produced by Tina Takemoto, Queer Camp Productions. The untold story of acclaimed Japanese American actor Sab Shimono, who performed over 150 roles in film, television and theater, including Broadway. This rare portrait reveals his lifelong commitment to the craft of acting, his struggles against racism and homophobia, and his journey to express what he has never been able to portray on screen. • “A Love Letter,” directed and produced by Barney Cheng. In this film, we meet two Japanese American families, the Aizumis and the Uradomos. Each family shares their journey of understanding, acceptance, and love for their transgender children. • “A Mother’s Promise: You Can Be Yourself,” produced by Margaret Cheatham Williams, New York Times (nytimes.com/conception). In this animated short, Laurin Mayeno tells her story about becoming a mother under difficult circumstances, making an important promise to her newborn son, and struggling to keep that promise throughout his childhood. The film is part of a New York Times six-part series on motherhood. A panel discussion followed by Mayeno as moderator. Mayeno is a mixed-race Asian/Jewish/Anglo woman, mother of a multiracial gay son, and author of “One of a Kind, Like Me/Unico Como Yo,” a bilingual children’s book inspired by her own experiences. The panelists were Rev. Allison Mark of Faith United Methodist Church in Torrance; Tina Takemoto, performance artist and associate professor of visual studies at California College of the Arts in San Francisco; Aiden Takeo Aizumi, transgender activist, storyteller, president of PFLAG Pasadena, and co-author with his mother Marsha of “Two Spirits, One Heart”; and Janet Uradomo, mother of a transgender daughter and PFLAG San Gabriel Valley vice president. The conference continued Saturday with plenary sessions in JANM’s Aratani Central Hall as well as several workshops, including one conducted in Japanese. Okaeri was previously held in 2014 and 2016.